Internationally renowned for his expertise in oncology and endocrinology, physician scientist Professor Richard Pestell has made exceptional and distinguished contributions to cancer care through his institutional and professional leadership, through important scientific discoveries and his entrepreneurial translation of these into novel cancer therapies and diagnostics. His personal experience of a young friend, then both parents, dying of cancer motivated Richard Pestell with a strong, clear ambition to make a sustainable difference in the prevention and treatment of cancer. 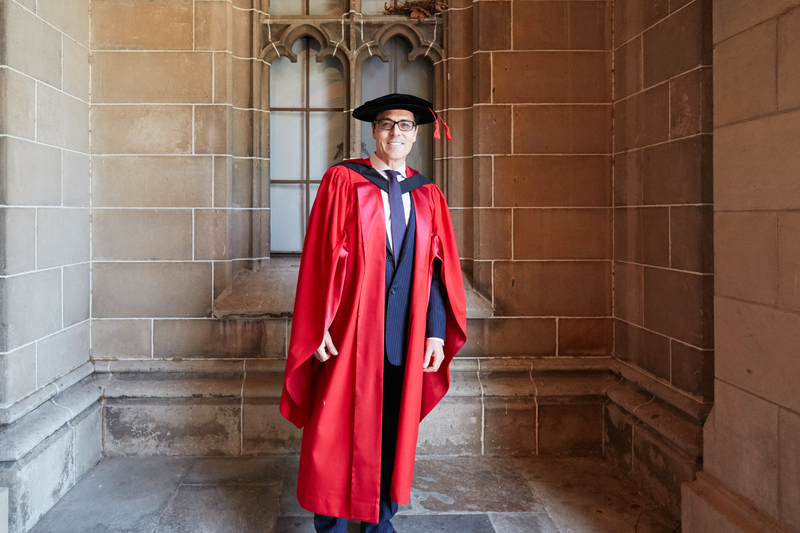 After beginning his medical career in Perth, he came to Melbourne in 1987, as an Endocrinology Fellow at St Vincent’s Hospital, and graduated with a PhD, then an MD, from the University of Melbourne. Richard Pestell’s basic research has made important contributions to the field of oncology, in particular the understanding of cell cycle regulation and the deviations that can cause cells to become malignant. His expertise lies in hormonally-responsive tumours, such as those of the breast and prostate, and his work is aimed at discovering novel therapies for these cancers and identifying molecular markers of pre-malignant disease to develop approaches to prevent cancer. His laboratory was the first to define the key target genes required for breast cancer stem cell expansion. He has authored more than 600 publications in high impact journals, his work receiving more than 46,000 citations and is the most highly cited in the world in his areas of research (#1 Cell-cycle, #1 in Prostate Cancer, #2 in Oncology). He has made valuable contributions to many scientific journals both through membership of editorial boards and as a reviewer. His expert contributions are sought by a wide range of community and research, clinical, government and professional advisory boards. He is frequently invited to present lectures to universities, professional conferences, and research institutes the world over. Richard Pestell is an innovative leader who combines clinical practice, research and teaching, institutional governance and business entrepreneurship. He spent a total of 13 years directing two National Cancer Institute designated Cancer Centres and over two years, as Founding Director, he established the Delaware Valley Institute for Clinical and Translational Science to expedite interdisciplinary collaboration in translational science, clinical care and education between university, hospital and research institutions. With Andrea Jung, of the Avon Foundation, Richard Pestell founded the Capital Breast Care Center in Washington DC, so that women across the state would be able access to breast cancer care regardless of their ability to pay. He has many issued patents and founded two biotechnology companies to translate his scientific discoveries into clinical practice and: LightSeed, to develop light activated gene therapy and ProstaGene to develop prostate cancer diagnostics and therapeutics. Among the many Australian, American and international awards and honours Richard Pestell has received are the Advance Global Australian Award (Biotechnology), and the Eric Susman Prize of the Royal Australasian College of Physicians. Motivated by a passionate resolve to not only improve the lives of his own patients, but to offer hope to others’, Richard Pestell has made a profound impact on the diagnosis and treatment of cancer and on the teaching, clinical, research organisations that share his determination.